This past February, a fifteen year-old girl jumped to her death in Yekaterinburg, Russia. 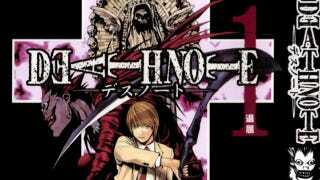 In her room, four copies of the wildly popular Japanese manga Death Note were discovered along with a suicide note that read, "I don't want to live anymore". Some blamed the comic for the girl's death, and now a group of parents appealed directly to Russian President Vladimir Putin to ban the manga on the grounds that it harmful to the country's youth. According to reports Jiji Press, the group's public appeal stated, "There's concern it [Death Note] will drive children to death." Russia has the highest teen suicide rate on Earth, reports Pravda. One of the reasons why it does, apparently, is due to a lack of school psychologists. Death Note has sold over 26 million copies worldwide and has been translated into numerous languages.